Apprenticeship Standards differ from Frameworks in that they include an End Point Assessment (EPA). The End Point Assessment takes place toward the end of the apprenticeship. End-point assessment can only take place when any mandated on-programme classroom, online and vendor qualification learning has been passed. We have made up the Apprenticeship End Point Assessment of different parts – see diagram below. 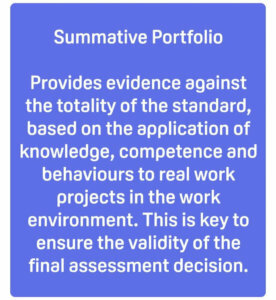 NowSkills puts together the summative portfolio towards the end of the NowSkills IT Apprenticeships. In the portfolio, apprentices present evidence from real-work projects. This is to illustrate the application of all the knowledge, skills and behaviours set out in the IT Apprenticeships EPA. 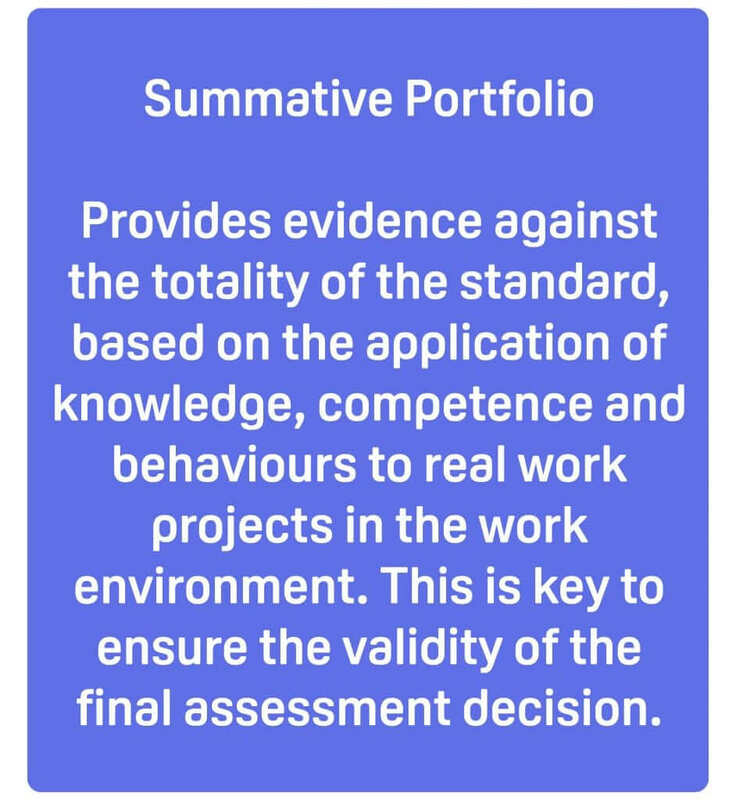 The summative portfolio is not evidence that the learning has taken place, but is evidence that the apprentice has applied that learning in their working role. The evidence will comprise a small number of complete pieces of work which, together, cover the requirements of the IT Apprenticeships End Point Assessment. They are able to showcase their very best work and the portfolio enables learners to demonstrate how they have applied their knowledge and understanding in a real-work environment to achieve real-work objectives. This part of the Apprenticeship End Point Assessment allows employers to provide feedback about the apprentice and the quality of the apprentice’s work. NowSkills will provide employers with guidance and if required a template that will enable the employer to make comments against the grading minimum standards and criteria as set out in the Occupational Brief. We will not ask employers to provide a rating. 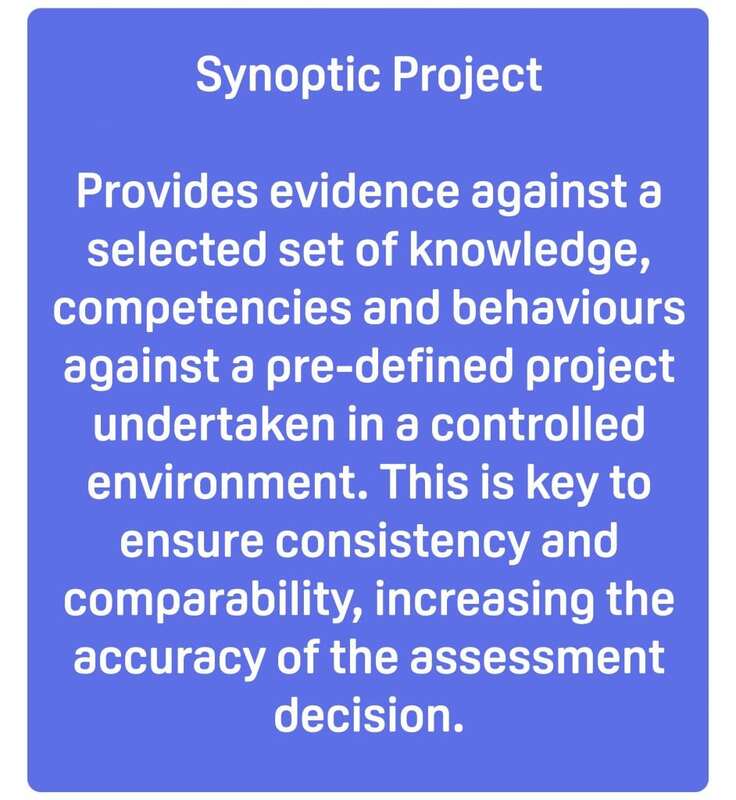 The synoptic project presents evidence from a business-related project testing the application of a selection of the knowledge, skills and behaviours defined in the standard. The project does not need to cover every competence but must cover a broad breadth of the competency outcomes, including the use of tools to problem-solve and trouble-shoot non-routine problems. It is designed to assess apprentices in a consistent way, irrespective of their particular workplace and their particular role within their company, and is therefore completed outside of day-to-day work pressures in a controlled environment. The Apprenticeship EPA interview is the final part of the EPA. 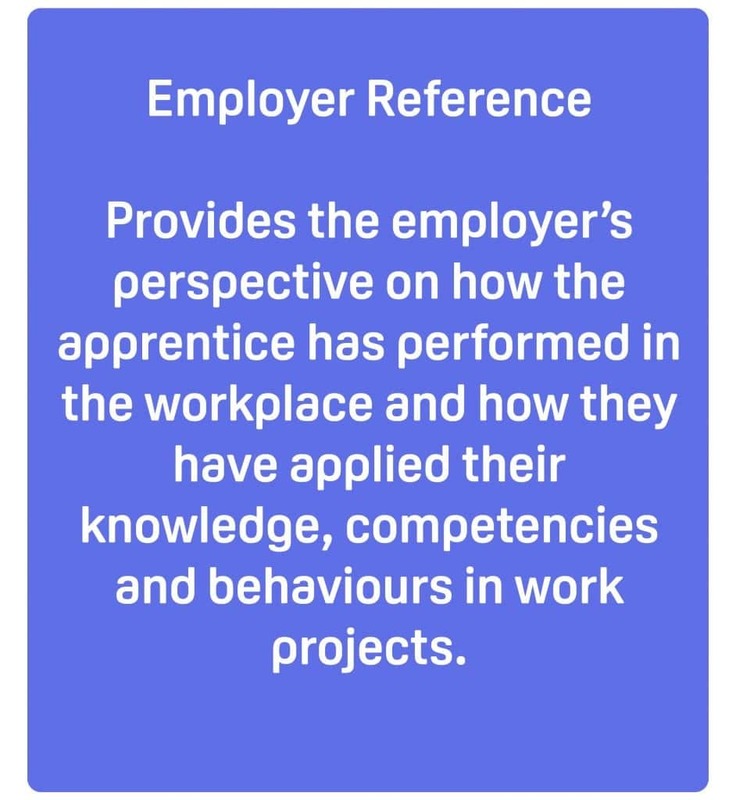 Hence, it is a structured discussion between the apprentice and their independent assessor, focusing on the summative portfolio and the synoptic project, with reference to the employer reference or knowledge test as appropriate. It covers what the apprentice has done in terms of the standard of their work, and also how they have done it. This enables the EPA to include the full range of technical knowledge as well as the underpinning skills and behaviours. The grading takes after the interview. This is based on the work done in the end – point assessment. There is only one grade for the apprenticeship. The purpose of grading is to motivate apprentices. 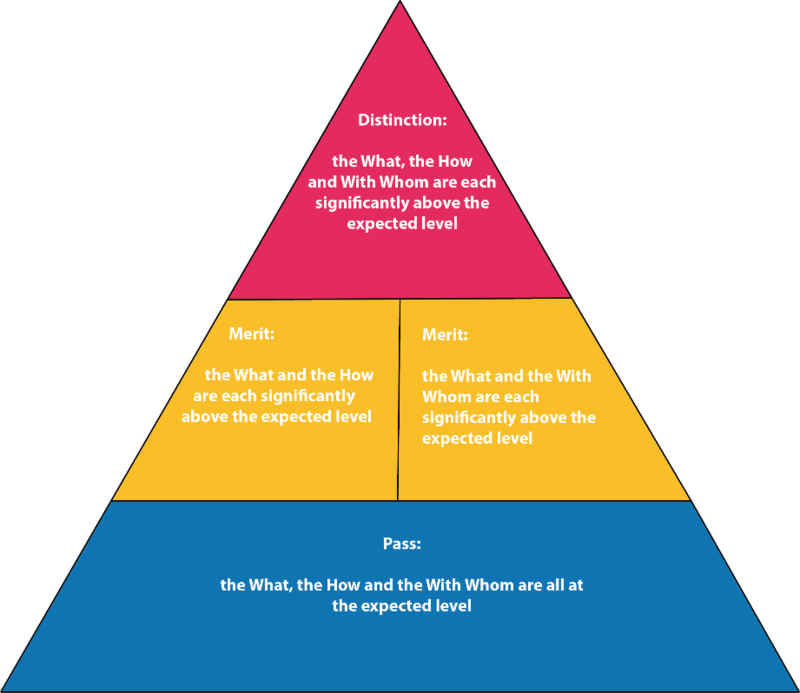 Along with differentiating between those at the minimum level and those who are significantly above the minimum level. Grading takes place by the independent assessor. This is based on a holistic assessment of everything the assessor has seen. The How: the way in which the work has been completed. The With Whom: The personal and interpersonal qualities the apprentice has brought to all their work relationships. The minimum (expected) requirement for the apprentice, must be at least a satisfied for a pass. Each of these criteria has a number of dimensions. This is considered to determine if the apprentice is significantly above the minimum (expected) level of quality in this occupation. The assessor takes a holistic judgement. 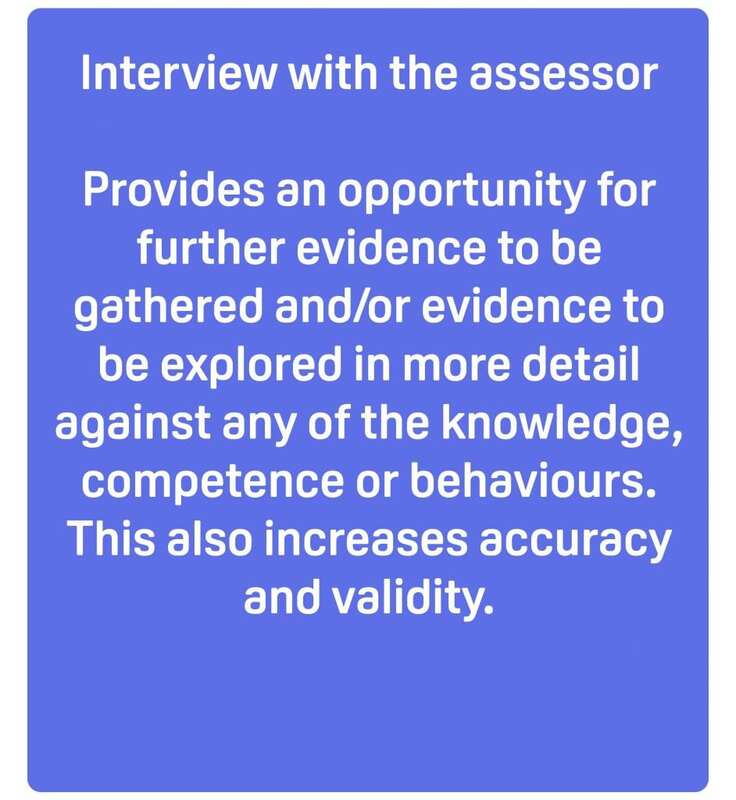 This is of whether or not their assessments demonstrate that the apprentice is “significantly above the expected level of quality” in each of these three areas. Apprenticeship End Point Assessment and grading: who does it? Any organisation on the ESFA’s Register of Apprentice Assessment Organisations (RoAAO) can undertake Apprenticeship EPA against the standard, for which they’re registered. Also, these organisations are responsible for delivering Apprenticeship End Point Assessments based on the specifications produced by the employers. NowSkills would normally arrange a learner’s Apprenticeship End Point Assessment. If employers would like to make their own arrangements, please inform us during the first 6 months of the apprenticeship. Additional charges may apply.